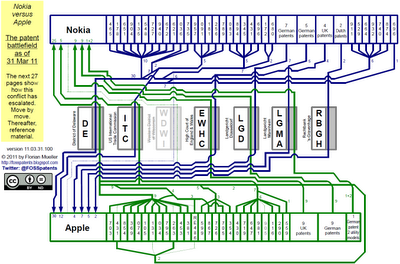 After Nokia's two latest complaints against Apple (filed with the ITC and the US District Court for the District of Delaware) I had to update my Apple vs. Nokia "battlemap" again. You can see a preview above. The entire 41-page document, which shows the escalation of the dispute and contains detailed reference list, is available on Scribd. 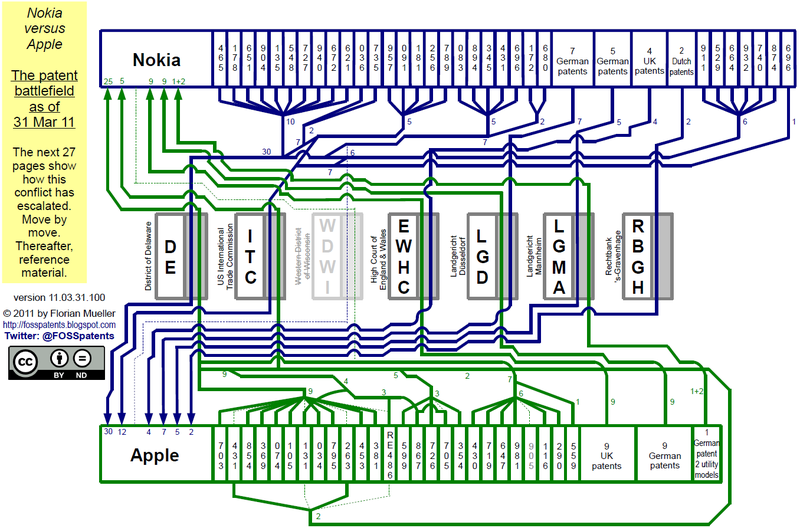 This conflict is just huge, and I guess Apple will now respond to Nokia's latest actions in kind, so I will likely have to update this again soon -- and may have to do so several more times before this gets settled. If you'd like to show this visualization to friends and colleagues, you can also share it via Twitpic. Also, there are more such visualizations in this Scribd folder.